Thanksgiving Post #2: Side Dish or Super Squash Star? by Barb November 8, 2011 November 9, 2011 2 Comments on Thanksgiving Post #2: Side Dish or Super Squash Star? In the midst of all my foodie fun, I have got to talk more about my imaginary Thanksgiving dinner. Let’s face it; the turkey is the star of the show but what about the supporting cast of characters? 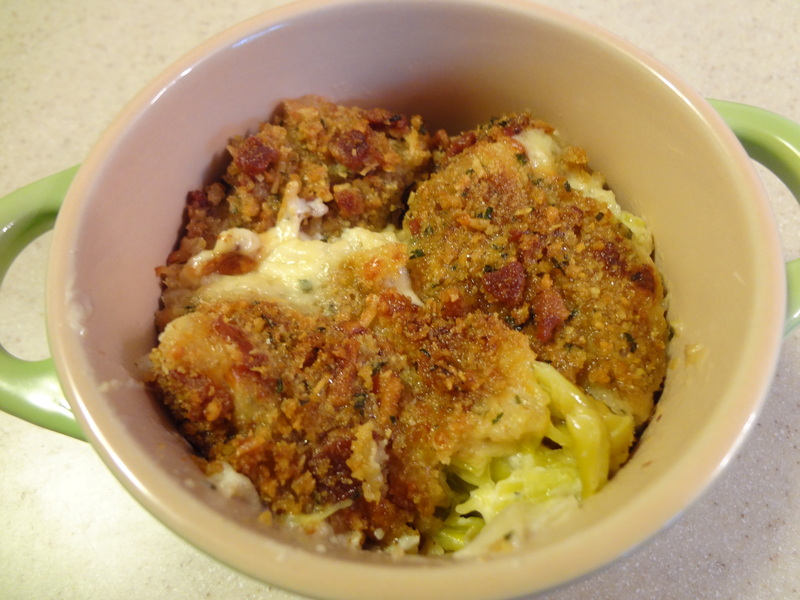 You know who they are….the side dishes. 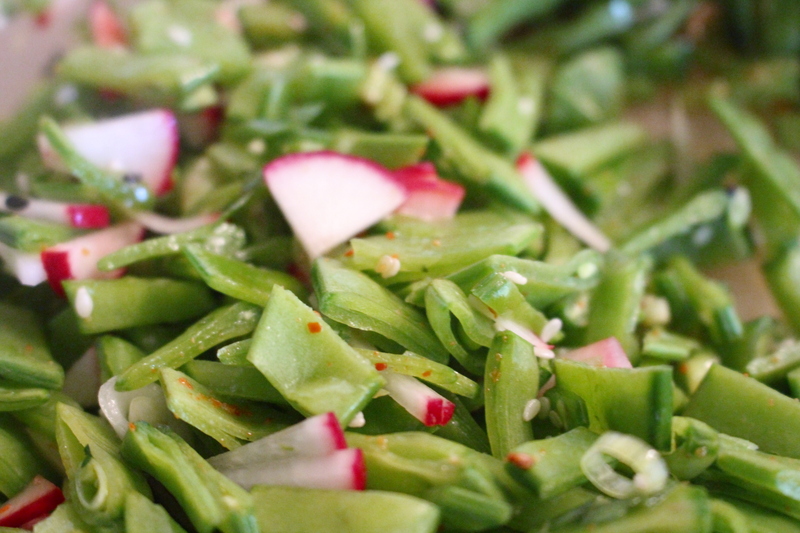 The side dishes don’t get enough credit for the role they play in Thanksgiving dinner. Do you ever see an inflatable bowl of mashed potatoes in the Macy’s parade? NOPE. How about a Thanksgiving card featuring the sweet potatoes with marshmallows? NOPE. Today I want to talk about the beautiful butternut squash! I like this ingredient because it is readily available in pretty much any market you go into during the fall. 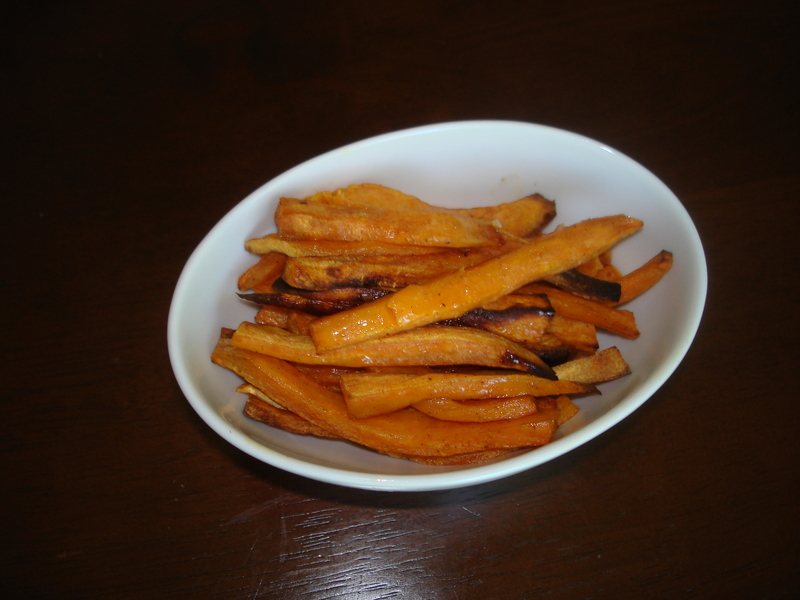 When roasted properly, it has the nuttiness of eating pumpkin but the mild sweetness of a yam. NOTE: Butternut Squash is a fruit not a veggie…that whole seed controversy comes up again. For today’s recipe, I roasted my squash. There are couple of nice ways to do this for a Thanksgiving feast. One roasting method is to skin the squash, seed it, and then cut it into chunks. This is nice but not so pretty in my opinion. I also think it is harder to decide how much squash to make. I’m sure there is some cool math I could do to help you calculate a yield on your product but you’ll be doing enough math on that Thursday figuring out turkey cooking times etc. The way I made it was to trim off the top and bottom, seed it, slice into quarters or eighths and roast it with some seasoning. I love this method because the prep work is minimal which is something to look for when preparing your meal. It also looks very pretty when plated and looks are important. 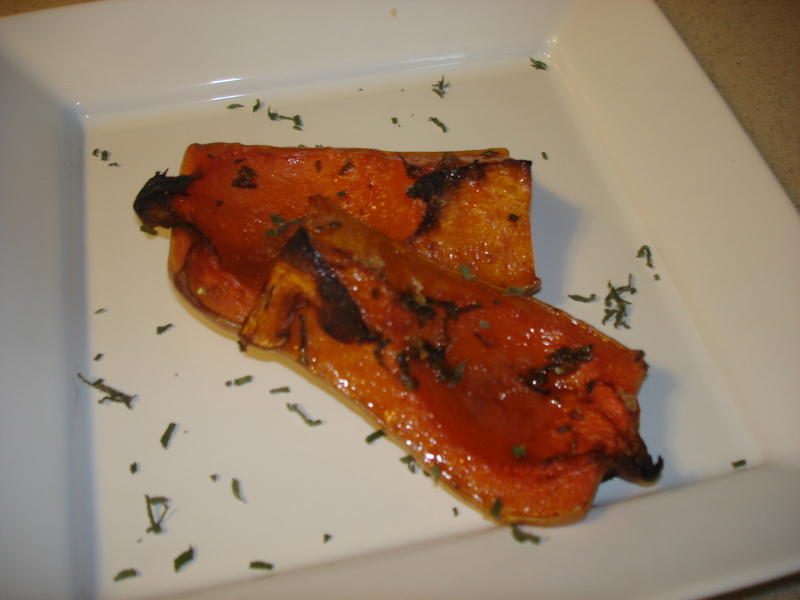 Trim off the top and bottom of your squash and slice lengthwise down the middle. Using a spoon, scoop out seeds. Lay each piece skin side down on baking sheet. Slather each piece with a half tablespoon of butter. You could melt the butter and brush it on but I like a good slather. Sprinkle with cinnamon, salt and pepper. Roast in oven for about 30 minutes and then sprinkle with the brown sugar. Roast another 15 minutes or until the squash is fork tender. I sprinkled mine with a little fresh sage to pull all of the Thanksgiving flavors together. My goal is to get a couple more side dishes posted before the actual holiday in case you want to have a dress rehearsal before your actual meal. Maybe if enough of us complain Macy’s will have a float next year devoted to the real stars of the meal! Next ArticleThanksgiving Post #3: Good Gravy It’s Less Than Two Weeks Away! Thanks Eva! The recipe program I use does not like fractions so each time I do a recipe I have to go back and double check that it takes it as a fraction. Thanks for pointing it out!